Fathers Day Gifts - Send Gifts to Dad! Father's Day is a primarily secular holiday inaugurated in the early 20th century to complement Mother's Day in celebrating fatherhood and parenting by males, and to honour and commemorate fathers and forefathers. Father's Day is celebrated on a variety of dates worldwide, and typically involves gift-giving and family-oriented activities. At Grumleys we have hundreds of gift baskets and we're sure you will find something to suit every dad. Our gifts are available for next business day delivery in most locations and Australia wide within a couple of days. We have so many gift ideas for Father's Day you will have trouble deciding which gift basket to choose. If your dad is the sporting type we have a large range of gift baskets that will make the perfect Father's Day gift. We have golf gift baskets, fishing gift baskets, football gifts and sports memorabilia. If enjoying lovely food is more your father's style we still have hundreds of gift ideas for Father's Day. From chocolate gift baskets to gourmet food baskets, to alcohol and gourmet food baskets - everything your dad could want. 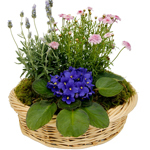 Petals has fantastic flowers which will make a great gift idea for Father's Day. 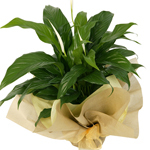 Why not send him a beautiful arrangement of long lasting natives, or some lovely tropical flowers? Petals can also deliver fruit and flowers or flowers and gourmet treats. You could even let your father know you are thinking of him with a basket of fresh fruit. We are sure you will find something for every father with Grumleys Gifts and Petals Network. If you can't make up your mind about what to send, give your dad a gift voucher and let him pick something for himself.